In its earliest days, Hip-Hop fetishized clothing brands, whether Lee Jeans or Adidas sneakers. In the ’90s, when corporate brands couldn’t satisfy the Afrocentric aesthetic and nationalist mindset of the hip-hop nation, Black-run companies like Cross Colours and Karl Kani came into existence as the first “urban” clothing lines. 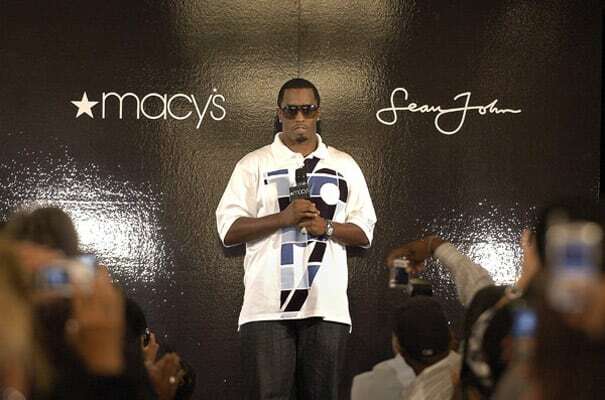 Sean “Puffy” Combs, always fashion forward, was one of the first poster boys for Karl Kani, placed in an advertisement by Kani marketing ace Jeff Tweedy. Years later, when Combs started his own clothing company, he tapped Tweedy to run it. Sean John was part of a second generation of urban fashion companies—more often than not run by hip-hop artists or people directly from the hip-hop community. Sean John was not the first of this new crop—that distinction went to Phat Farm. Nor was it the first to break into mainstream department stores—Wu Wear won that race, followed closely by Fubu. But Sean John’s classic look and smart designs quickly propelled it not only to the head of the urban pack, but beyond the urban distinction altogether. Sean John took its place among classic global brands like Ralph Lauren and Calvin Klein when it won the 2004 Council of Fashion Designers of America menswear award—sort of the Academy Awards for the fashion industry. No longer a specialty brand in a niche market, Sean John and hip-hop itself had graduated to a perch atop the entire fashion world.